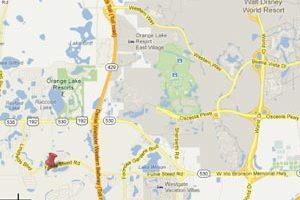 Just minutes from the Disney Theme Parks, our map shows the fantastic location of Sunset Lakes plus easy to follow directions. From both Orlando International and Sanford Airports just follow the HWY 417 to Celebration and then take the 192 west, passing Disney World. Turn left onto Formosa Gardens Boulevard and take a right onto Funnie Steed Road. Sunset Lakes can be found on your left. More detailed instructions are provided to all our guests prior to arrival, along with gate codes and key lockbox codes for entry. 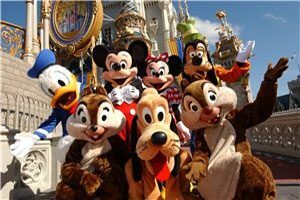 The highway 192 gives direct access to both Disney World Resort and the Interstate 4, which makes it easy to travel to Universal Resort Orlando, Seaworld/Aquatica and Busch Gardens, Tampa plus all the beautiful beaches of the Gulf Coast and Atlantic Coast. In order to make the most of the world class nearby attractions, we recommend that renting a car is essential. Driving in Florida is very easy as the roads are wide and straight; the speed limit is a relaxed 55mph, and petrol prices are relatively inexpensive. Traffic in Florida drives on the right hand side of the road. Most roads have numbers and names and run East/ West or North/ South. The street sign facing you at a junction is the name of the road you are crossing – not the one you are on.